Very, very tall and Very, very elegant! What can we say when the picture says it all? 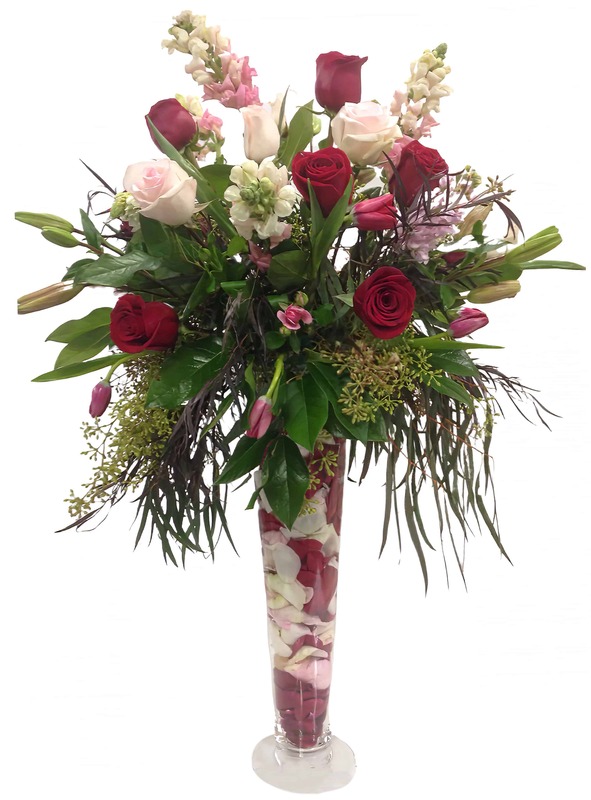 This piece features a very high-reaching vase with Asiatic Lilies, many fresh cut Roses and an array of petals nurtured in this nice magnum. This arrangement is sure to dazzle the eyes with its prominent statement of beauty! It would make the most beautiful altarpiece at a wedding or send a loud and clear message of love to your special someone! Something a little more unique than simply roses makes this piece one NOT to be overlooked!